Park City Mountain Resort is always a great place to start your weekend. With a place as action-packed as the Park City area, it can actually be a dizzying endeavor to dial in a specific agenda of what to do. Obviously there’s lots of skiing and snowboarding, for every ability and interest. The two resorts’ sizes and breadth means there’s something to entertain the most demanding terrain park adventurer, groomer enthusiast, mogul guy, or powder buff. But there’s a lot more to the area than that, and if you only have a long weekend to spend, you’ll want to get fairly targeted in how you spend your time. Here are a few amazing ideas from a local’s point of view (although next time please stay longer, because we’re filtering out approximately 300 other fun things to do). The High West Distillery is known for its unique whiskey blends. Catch a morning flight in if you can. 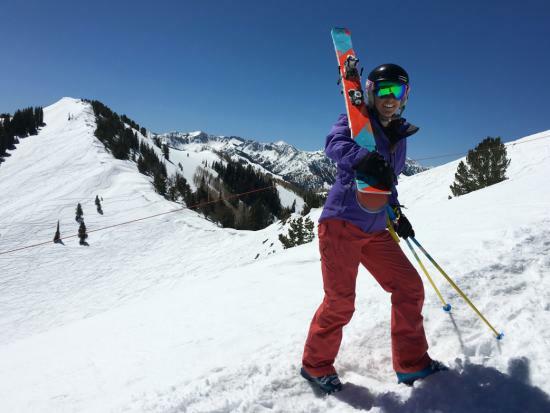 The Salt Lake International Airport is just a 35-minute ride away, so it’s very possible to check into your room, then boot up and hit the slopes within two hours of landing. See? What a start. Play on the mountain for a few hours and get nice and happy-tired. You know that kind of tired—get there. And now the lifts are closing, après kitchens are firing up, and it’s time for a different kind of fun. One amazing place to après is the world’s only ski-in distillery, High West. 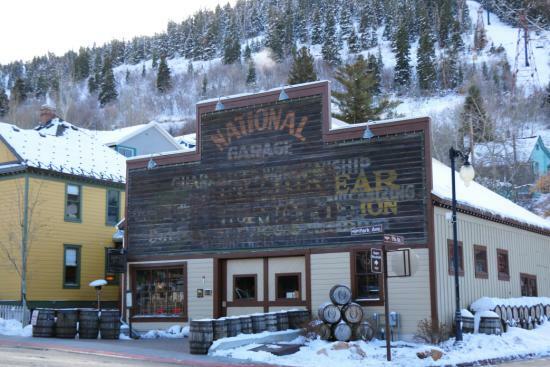 Just a block off Main Street in Park City, the distillery operates a saloon bar and full kitchen, where you can get the most delectable and locally crafted bites and cocktails. There’s nothing like a whiskey lemonade to warm the system after a chilly day out, and High West knows how to do it right. We know you’ll want to fuel up properly but you’ve got to spread the love around. One interesting complement to the tummy-warming bourbon you’ll enjoy at High West is a middle-eastern-gourmet dinner at Reef’s Restaurant. It’s incredible how the spices of freshly made falafel, a smoked eggplant feta dish, or Moroccan salmon warm your senses from the inside out. And, being right on Main Street, Reef’s is just a few minutes’ stroll from your previous stop at High West. If you have the energy for it, you might as well have a nightcap at the nearby favorite, The Cabin, an unfussy mountain-town bar filled with locals, lifties, and music. Ready for another day on the mountain in Park City. Don’t get up too early after last night, but you’ll want to jump in on your first full Utah day properly. Atticus Coffee, Books, and Tea offers delicious coffee and quick breakfast items so you can hit the mountain ready to roll. Head to your hill of choice—Park City Mountain has size on its side, while Deer Valley is known for its exceptional food and service. The lift operators and resort staff are all friendly and can point you in the direction of the most recently groomed trails—or powder stashes that remain from the most recent storm. For lunch, just enjoy food on the mountain—each resort has special slopeside eateries where you can fuel up quickly while enjoying gorgeous mountain views. If you’re at Deer Valley, try their famous turkey chili at the Silver Lake Lodge and then bask in the sunshine on an Adirondack chair on “the beach” outside. At Park City Mountain, try dining at the Summit House, which sits at 9,250 feet and offers exceptional vistas in every direction. If you start running low on energy in the afternoon, keep in mind there are plenty of other things to explore in town. You could unwind at a yoga class at The Shop, a lovely studio just a few steps off Main Street. You could also satiate your need for speed by visiting the Utah Olympic Park 10 minutes down the road. The site of the Olympic bobsled and ski jumping competitions, this place is downright jaw-dropping. The best part? You can sign up to take a bobsled run (pilot-driven, thank goodness) and experience the track yourself. For dinner, consider Chimayo, a Main Street eatery with a decadently gourmet twist on Southwestern fare. Trust us, you don’t know what the true potential of fajitas, queso fundido, or enchiladas until you try the Chimayo chef’s spin on them. (For example, the sea scallops are served with a blood orange-jalapeno beurre blanc and almonds.) If you’re in the mood for some red meat, Grub Steak offers prime rib, bone-in ribeyes, and an elk sirloin, just to name a few of its tasty offerings. After dinner, stroll Main Street and duck into a lively bar for your requisite nightcap. The Spur and No-Name Saloon are two locals’ favorites where you’ll behold ski-town hijinks of top quality. Grub Steak restaurant in Park City offers high-head steaks as well as burgers, sandwiches, and seafood. OK, no rushing out the door today. You’ve earned a slower morning pace. Head over to the Eating Establishment for a proper sit-down breakfast of lots of coffee and a good old-fashioned scramble. Then head back out to the mountain and hit a few unexplored spots—Park City Mountain in particular is so large that it takes multiple days to even get a proper overview of it. Schuss along, take in the fresh mountain air, and promise yourself you’ll return to the mountain soon. After you’ve worn your ski muscles out, consider a relaxing massage or other spa session before you get back into travel mode again. The fantastic news is you’d be hard-pressed to find a poor spa experience in this town—the resorts offer multiple fantastic spas on premise, and perhaps you feel like splurging for a hot stone massage at the Montage or Waldorf Astoria. Otherwise, there are multiple yoga studios in town where you can unwind and recover from the high-altitude exercise. Take a lingering stroll along Main Street, peek into the shops you haven’t been able to look at yet. You may find the perfect piece of art, jewelry, or beanie that will remind you of your whirlwind mountain weekend in Park City. 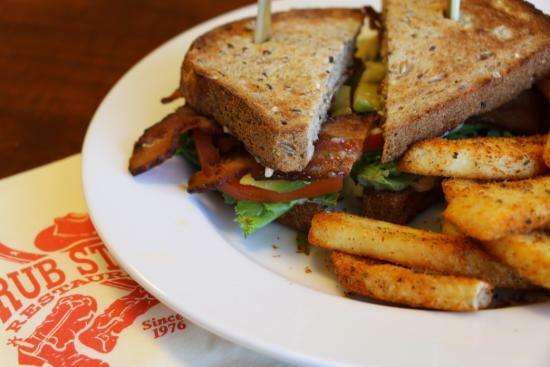 Before catching a ride to the airport, snag one last snack at Firewood Restaurant’s downstairs, hundred-year-old bar, rich in local history (and shenanigans). You can sip a cocktail and enjoy a fire-cooked small plate; the chef is committed to cooking everything at the restaurant over fire, which makes the cuisine particularly unique and warming. You’ll probably spend your car ride home Googling airfares for your next trip out—and we don’t blame you.